If you are not someone involved directly in the Financial Planning industry, you would be forgiven for wondering what has been going on with the Future of Financial Advice (FOFA). 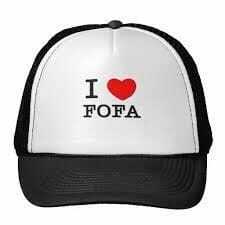 Before I go on I should 'nail our colours to the mast' and say we liked the FOFA legislation passed under the previous government, but may stop short of wearing the cap in the picture. I for one was very confused that the new government decided to spend time and money on watering down the proposals, particularly as they seemed to have a broad spread of public opinion on their side. Reading between the lines I think there were some powerful vested interests at work behind the scenes, including the big banks. Why else would you take a backward step in protecting the consumer? So whilst I find some of what our Senate is doing slightly bizarre, I whole heartedly supported the dissolution motion passed through the senate with the help of Senators Jacqui Lambie and Ricky Muir. The dissolution overturned the watered down regulations passed by the Coalition in July of this year. Looking at the first and most contentious issue, every two years an adviser has to provide their client with a disclosure of what they have been paid and gain consent for continued engagement. I hear some of you say what only every 2 years! And you are also probably wondering what has been happening up until now. As a business that has from the start, in 2008, had annual re-engagement with its clients, we dont think that 2 years goes far enough. We are also think that the grandfathering arrangements that allow existing clients in certain circumstances to fall outside of the new rules should not be there. And as for best interests duty provisions, come on, why would that be something that would be taken away? If you think that we are humming to a different tune, then you would be right.